Recently, I have been browsing through Netflix, and other places for movies. I came across one of good movie telling stories about McDonald's, so called "The Founder" starring Michael Keaton. Click here FOR MORE INFO FROM WIKI. The plot is very simple, of which you could find out at the link previously mentioned. 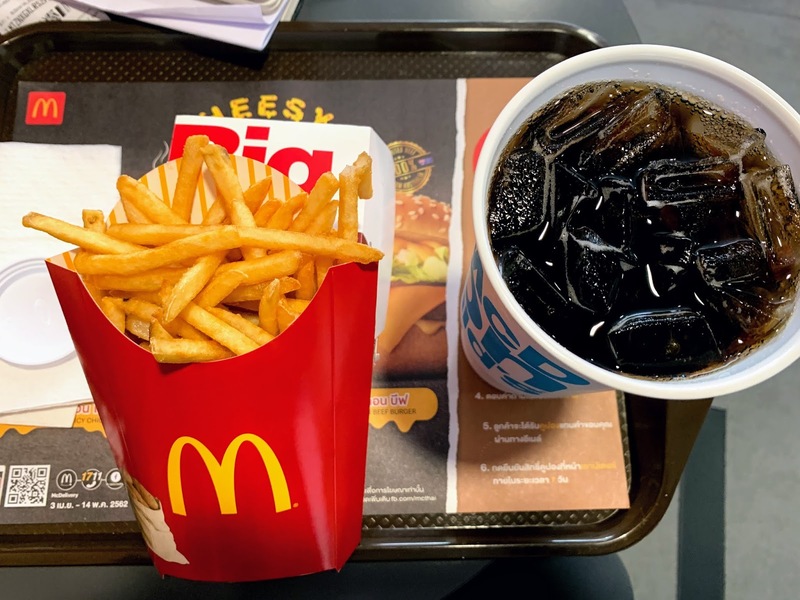 It made me appreciate McDonald's more and more, because after that I went through every possible online resources to find out more about McDonald's. Many things described in the movie inspired me well, as well as filled in the blanks whatever I did not know in the past. Please try to watch it yourself. And I am also addicted to McDonald's itself since when I was very young. Remembered my first time was in Hong Kong with dad many many years back, when it was unavailable in Thailand at the time. My only 2 favourites are Big Mac (or Double Big Mac) and Cheese Burger (or double, even triple Cheese Burger). They are my favourite and when I spent my time abroad, I usually had it everyday. Anyway, enough for that, let me enjoy my meal now.